-Tequila is made from agave, which is not a grain and therefore gluten free. Is it more gluten-free than any other spirit? Not at all, but unlike vodka or whiskey, there were never grains involved. This might make a different to some of you. 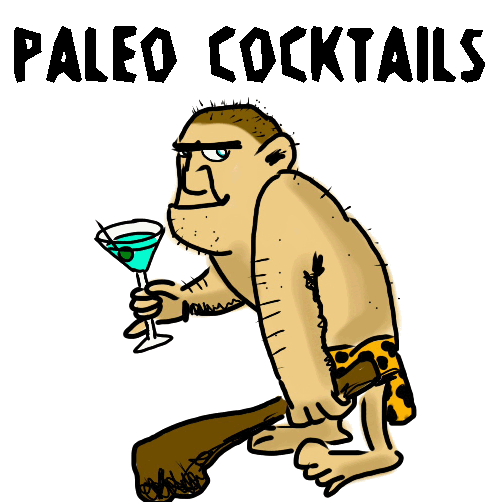 -Lime juice is your best friend in a paleo cocktail. It blunts insulin response, preventing the complete disruption of the insulin sensitivity your otherwise you've worked toward with your otherwise paleo diet. Also, since most foods provide a net acid load, it's nice to be able to even that out with the net alkaline load from the lime juice. -The CO2 bubbles in soda water will accelerate the ethanol getting into your bloodstream, making you drunk faster. This is good in couple of ways, but the key is that you don't need to drink so many before you feel them. 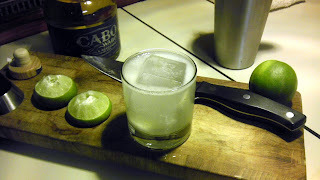 Shake your tequila and lime juice with ice, then strain into chilled glass with ice and top off with soda. Garnish with a slice of lime, or just drink it and make caveman sounds. Your call. You can obviously use this basic model for many cocktails,just swap out the spirit for any other that goes well with lime. My go-to drink at most bars is white rum on the rocks, lime juice (not Rose's! ), and a splash of soda. That is of course unless it's a proper cocktail bar, which I will take full advantage of.